You never find such a stylish profile website template for free. 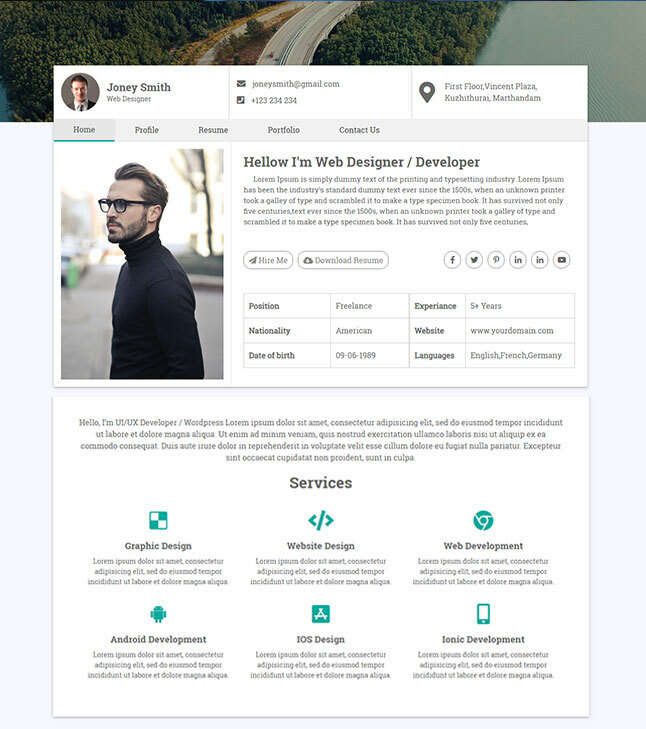 This is one of the very stylish bootstrap profile website template for free , it is very attractive and profession you can simply download it from smarteyeapps.com for completely free. License : Free License Under Creative Commons Attribution 3.0 Unlimited Use, you can help & support Liontemplates by donations or you should keep link to our website. Google Chrome, Firefox, Safari, IE 10, Opera etc. I am sure about that you will never find a stylish free profile website template like this, this is one of the best profile website templates in the world. This is a single page website template with five inner divisions including resume, portfolio, contact us, etc..
At Smarteye we create high quality creative templates & scripts. Our team committed to always providing the very best in quality web solutions available to you at an affordable price.